Nebraska – A rolling agricultural land state in the midwest. It is the only US state to have an entirely non-partisan legislature. Settled by Europeans (in larger numbers) from the mid-19th century onwards, it quickly became one of the major agricultural producers in the nation. Nebraska’s population at 1.9 million is located in a state with an area which makes it the 16th largest. 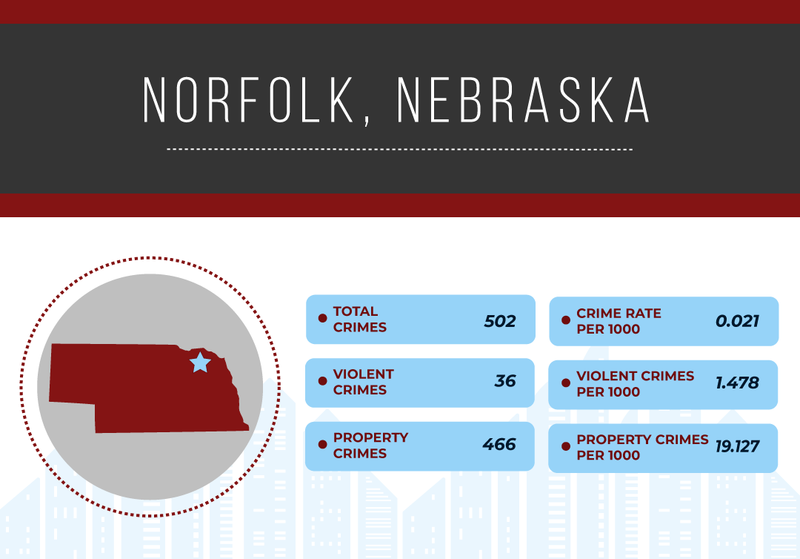 As a result, the population density is low and Nebraska ranks 43rd in the US tables for such. Economically, the state remains heavily agriculture-based. It does have transportation and higher-tech manufacturing industries and in 2018 it had the 5th lowest unemployment rate in the union. Property crime levels are significantly lower than the national average at 28.96 per 1,000 compared to the national average of 40.43 – giving a ratio of 0.72. 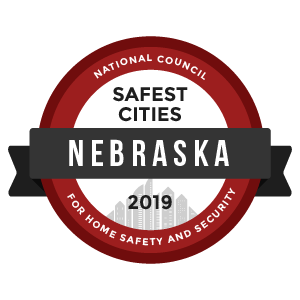 To identify the safest cities in Nebraska, we reviewed the most recent FBI Uniform Crime Report statistics. A total of 7,639 cities were factored into this ranking with populations ranging from 7,639 to 4,007,147. However, we eliminated any cities that failed to submit a complete crime report to the FBI and removed cities with populations under 10,000.